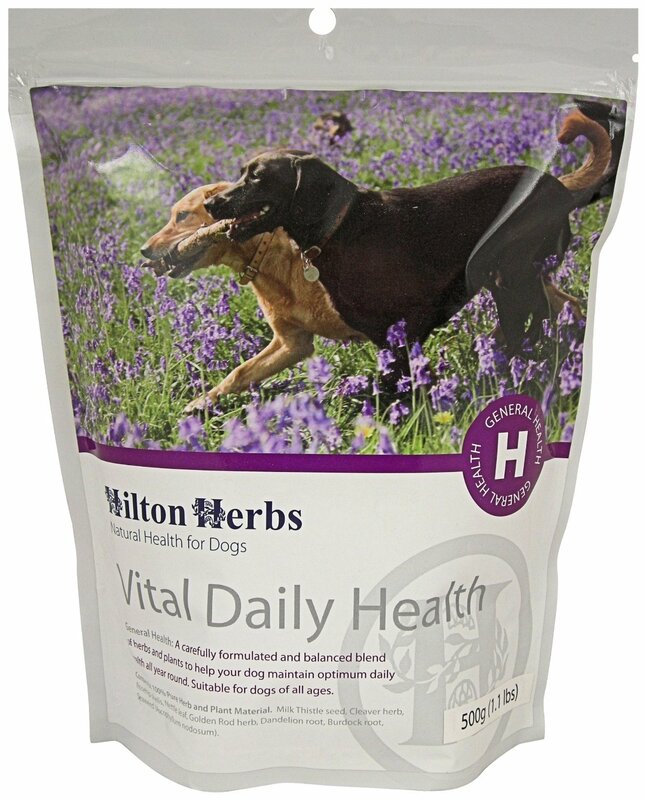 Hilton Herbs Vital Daily Health has been specially formulated to provide optimum health daily, all year round for your dog. It combines eight of the most effective plant treatments together into a supplement to be used on a daily basis. Suitable for all ages of dog. In some cases it can take up to 4 weeks for results to be seen. Fine cut Milk Thistle seed, Cleaver herb, Rosehip, Nettle leaf, Golden Rod herb, Dandelion root, Burdock root and Seaweed (Ascophyllum nodosum). Comes with a 2.5ml scoop inside the pouch. Add to feed on a daily basis and divide required amount between two meals where possible for best results. There are currently no questions for Hilton Herbs Vital Daily Health for Dogs - be the first to ask one!